Beautiful smiles are what we create. Today, most of us have realised that our teeth are essential to our physical health. But beautiful teeth also give our mental wellbeing a boost through our improved self-confidence and enjoyment of social situations. At Duncraig Dental Care, we provide the range of cosmetic dentistry services you need to get yourself a stunning smile. With our cosmetic dentistry services, you can transform your smile to perfection. We can improve the shape, alignment, colour and overall appearance of your smile. Take a look at our Smile Transformations gallery! When you meet someone, you’ll probably notice their smile first. 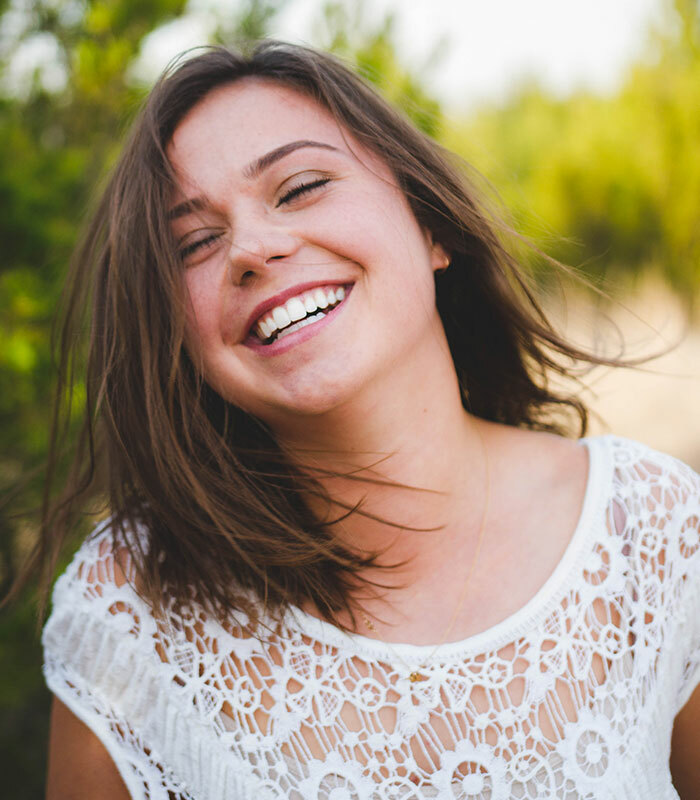 Our Duncraig clinic offers teeth whitening treatments to help brighten and lighten your smile. Our procedure can help lighten your teeth by up to eight shades! Why should I choose professional whitening instead of over-the-counter boxed treatments? Sure – store purchased teeth whitening kits can do the job well enough. But it will take a lot longer to see results in the mirror. And when it comes to safety, they’re not the best option. The chemicals in store-bought kits can often eat away at your precious enamel, and without the experience and knowledge of a specialist, it’s easy for things to go wrong. You shouldn’t skimp out on safety when whitening your teeth. That’s why we encourage professional take-home kits and in-chair treatments. At Duncraig Dental Care, our experienced dentists take extreme care when performing these treatments, and monitor the effects of the treatment on your teeth in real time. You can stay safe and get your teeth sparkling at the same time! How do your teeth whitening treatments work? Before any teeth whitening treatment, we’ll assess how severe your staining and discolouration is. We’ll also clean your teeth, fill any cavities, and make sure your gums are healthy and fit for the procedure. At Duncraig Dental Care, we use the trusted Zoom procedure in our in-chair whitening treatments. In this option, one of our providers will cover all the gums and soft tissues using a special barrier to protect your gums from irritation during the procedure. They will carefully apply a powerful whitening gel to the surface of your teeth and activate it with a UV light, kickstarting the whitening process. The procedure takes around an hour, and dependant on your circumstances; you could walk out with teeth up to 8 shades lighter! If you’re looking for a convenient, comfortable whitening solution, our take-home whitening kits might be just right for you. After an assessment, our dentists will take detailed impressions of your teeth, and use them to mould a custom fitting tray for your ongoing treatment. At home, you’ll fill the trays with a whitening gel and place them over your teeth for one hour per day. The time you continue this treatment for will depend on your dentists’ assessment, but stunning results can be achieved in as little as two weeks. A porcelain veneer is a thin shell of porcelain, custom-made to match the aesthetics of your smile. This lightweight shell of porcelain slips over the front of your tooth to hide imperfections such as crooked, chipped, discoloured or misshapen teeth. The teeth in the smile zone (canines, lateral and central incisors) are perfect candidates for porcelain veneers. Yes, they do! Veneers look and feel entirely natural. This is because they are made of a thin porcelain material that looks exactly like natural tooth enamel. No one will know you have them, but they will notice how fantastic your smile looks! Porcelain veneers are unmatched by other tooth restoration options. With consistent care, porcelain veneers can keep your smile bright for well over a decade. They’re almost impenetrable to stains from food, beverages, and tobacco, so your smile will stay as perfect as the day you got them for a long time.